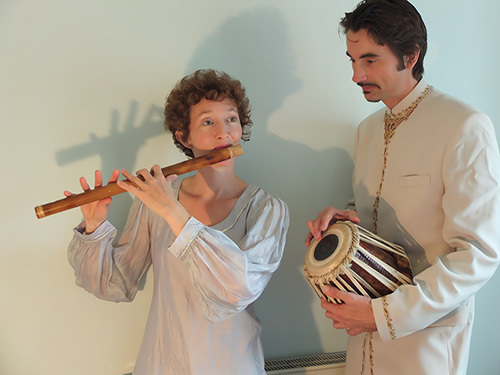 You can hire this professional flute and tabla duo for weddings and events and they perform a blend of South Indian ragas, North Indian ragas, songs from India, Bhajans, Bollywood and fusion. The mesmerising sound of the Indian tabla drew this performer in to the realm of Indian classical music at the end of the nineties and he has been studying the instrument ever since. 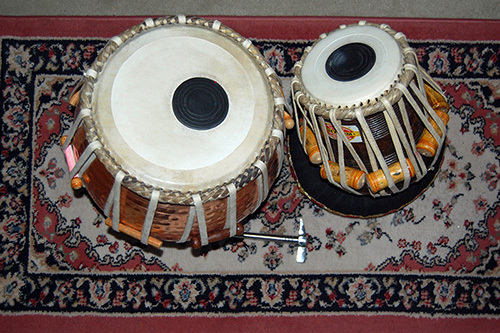 The tabla drums are the popular iconic instrument of North Indian classical music and engage the use of their own spoken language to create rhythmic syllables and phrases. As with much Indian culture, this heritage is rich and well preserved with its roots tracing back through many centuries. 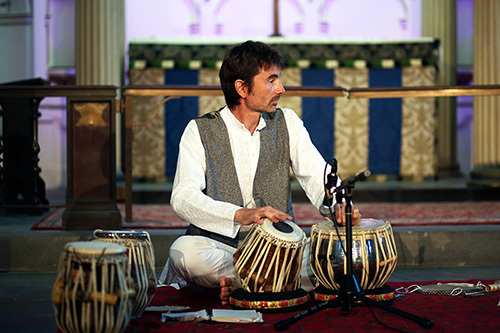 He has studied tabla in India and the UK with several masters including Shri Kailash Nishad and Shri Shiv Shankar Ray. He taught in South Goa for two years between 2005 and 2007 and has been teaching in the Sussex since his return. 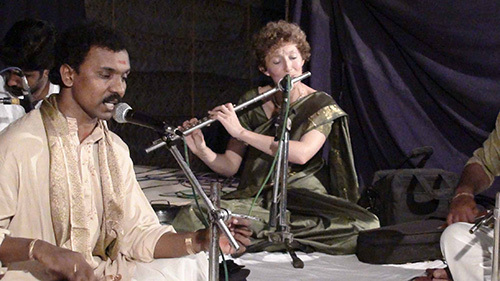 The flautist studied classical western flute as a child and then studied Jazz at Chichester College. She went on to perform, compose and arrange for a variety of ensembles including ‘The Pork Pie Hat Band’ (9 piece jazz big band), The Love Quartet (4 piece jazz band) and Anapura (7 piece Indo-Jazz fusion band). In 2008 she travelled to Kerala, South India, to study Carnatic music with Manju Subhash, Subhash Kumar and Santhosh Kumar. She fell in love with the music, the culture and the people she met there and spent four 6 month periods intensively studying and playing. During her time in India she performed in temples and at marriage functions, as a solo performer and as a member of an Indian Jugalbandi. 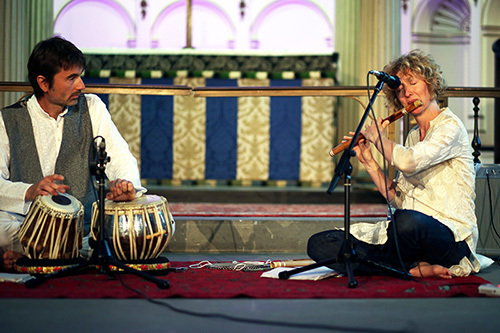 On her return to England in 2011 she teamed up with the tabla player and the duo was formed. They have since performed at numerous weddings, music festivals, church concerts, charity functions and various local venues.